Have you ever wanted Marilyn Monroe on the hood of your car, but remain eternally annoyed that she’s dead? Here’s the next best thing. 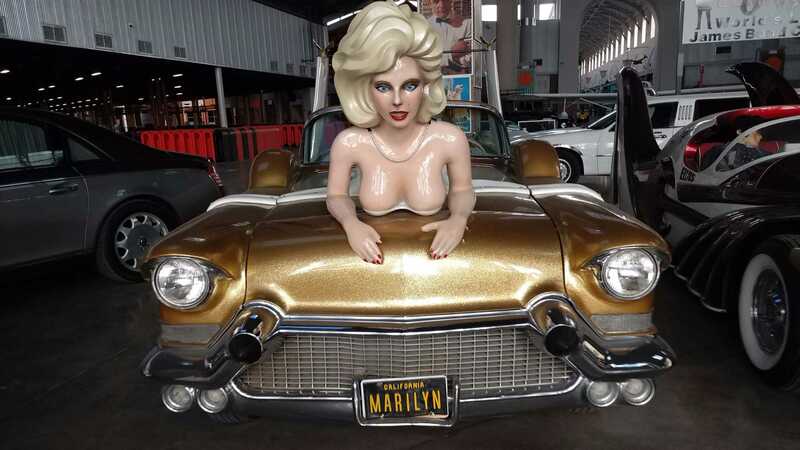 Gentlemen may prefer blondes, but Marilyn Monroe preferred Cadillacs. As the voguish queen of Hollywood’s golden era, Monroe famously requested the use of various Cadillac limos when jumping between film sets. Clearly, under the sweltering studio lights of tinsel town, nothing calmed the soul quite like a well-heeled GM barge. As an image of 1950s’ glamour, the elegant mood of post-war Americana remains epitomised by Marilyn posing alongside her ’54 Caddy. But what about this one? 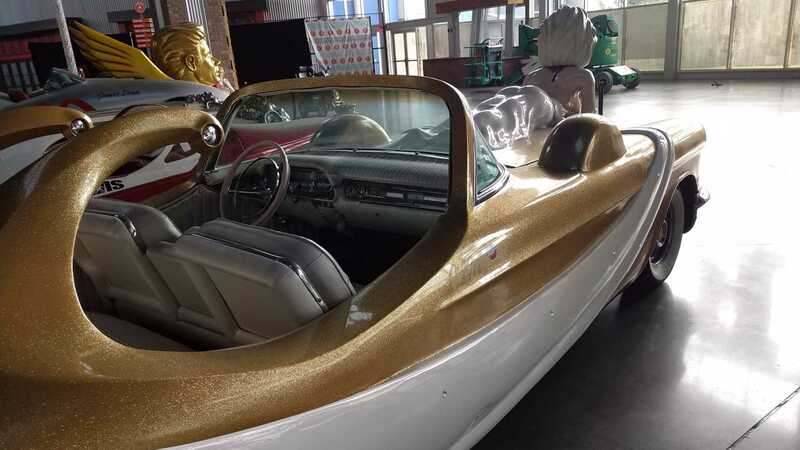 Listed as a ‘beautiful showpiece’ that pays homage to the relationship Monroe and Cadillac enjoyed, this 1977 custom model won’t be to everyone’s taste. Indeed, you may well give less-attentive drivers a heart attack upon entering the freeway. Perched upon the hood with all the grace of a gawking figurehead, without her trademark white-ivory cocktail dress and bouffant hairdo, the facial features would be hard to recognize as culture’s Blonde Bombshell. For most, the personalized license plate is the greatest giveaway. 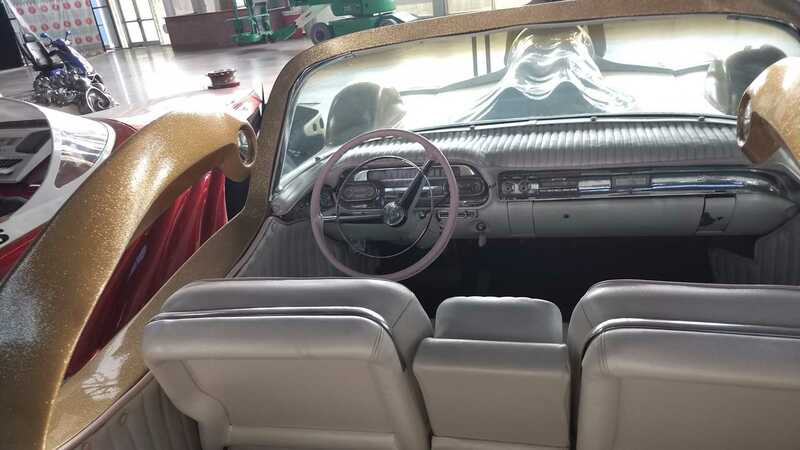 Further ‘Marilyn’ touches include a pink steering wheel, pink seat piping and ‘MM’ decals – alongside lipstick imprints – above where the doors originally opened. Naturally, as a bespoke custom job, there are currently no doors on this Caddy, only a one-piece bodyshell. Perhaps a symbol of Monroe’s lack of escape from her impending death courtesy of association with JFK. Or something. 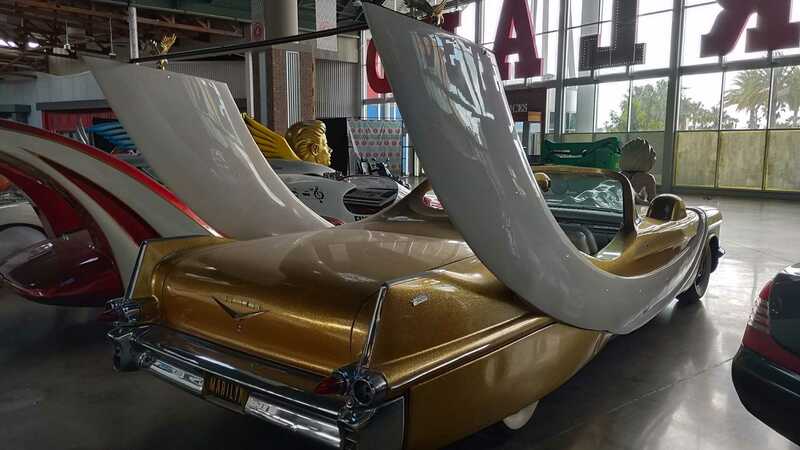 Possibly the greatest ‘spoiler’ currently on the market, this Caddy sports rear fins large enough to capture Idris Elba’s ego. 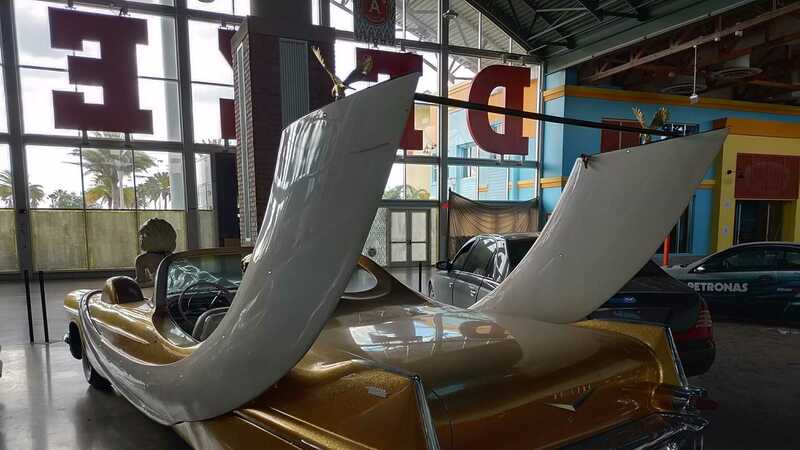 Tailored to represent the flailing ends of Marilyn’s famous Seven Year Itch costume, the end result could slice low-flying birds neatly in half. We would struggle to believe that this 1977 tribute vehicle is road legal, with its’ curious design and impaired vision courtesy of Monroe’s rear end. From the presented evidence, it seems this was a one-off job for publicity purposes. 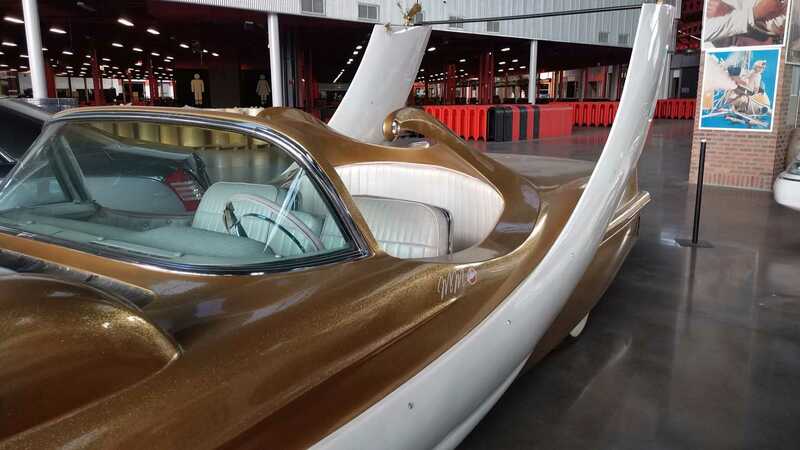 Sat alongside the vehicle appears to be a similar creation wearing Elvis Presley’s headshot, perhaps commissioned by an American Diner or a museum. 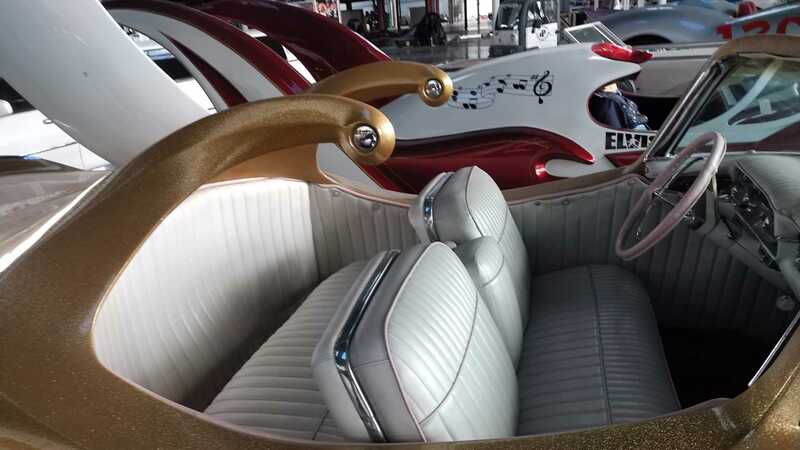 It’s logical that these Caddy’s were ordered as a pair, but the question is – who would you rather have living in your garage, Presley or Monroe? 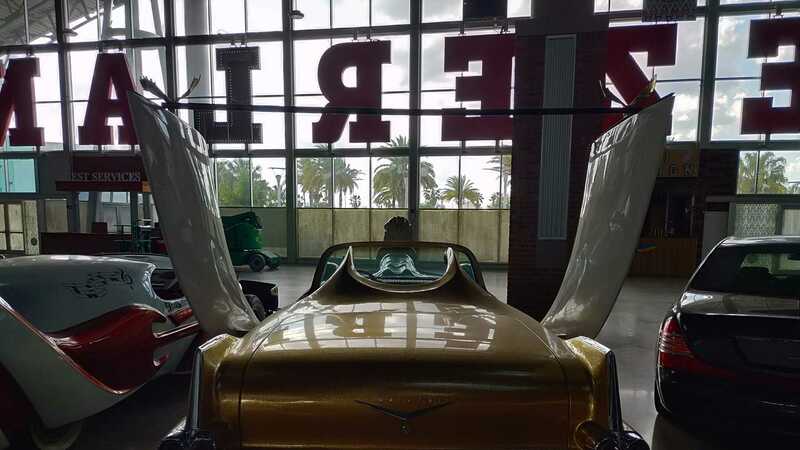 You can view more through the Orlando Auto Museum here.